Tomorrow is Foodie Penpals reveal day for March, so I had to bump Fitness Friday up a day! I’ve been feeling less than inspired this week so I haven’t been putting together too many new workouts…I’ve mostly been resting and doing some odds and ends. 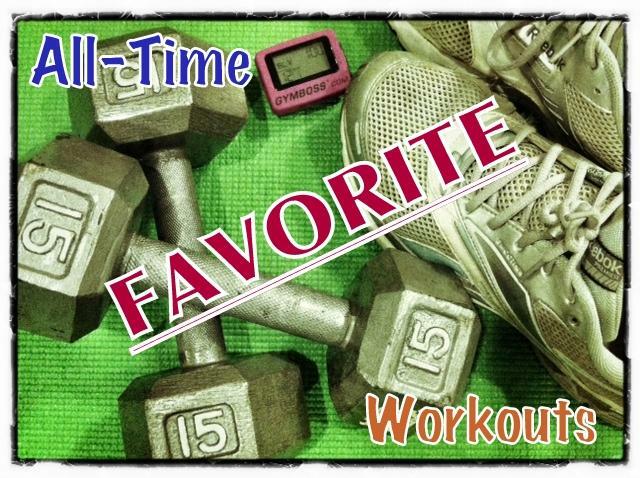 BUT, I didn’t want to leave you guys hanging, so I turned to my fellow Fitfluential Ambassadors to put together a list of some of our all-time favorite workouts! You guys know this is mine, since I talk about it ALL THE TIME. If you haven’t tried it yet, DO IT!! Now take some time to click some of the links below if any of these sound like fun to you. I pretty much want to do all of them! A HIIT workout w/ thrusters, squats & burpees! CLICK HERE. An upper body blast that uses dumbbells and a jump rope! CLICK HERE. A tabata workout that includes kb swings, plank jacks, burpees! CLICK HERE. A cardio circuit workout with no burpees! CLICK HERE. An at-home plyo workout you can even do barefoot! CLICK HERE. The Accumulator workout– it builds on itself each round! CLICK HERE. A full body circuit workout! CLICK HERE. An at-home circuit workout! CLICK HERE. A pyramid style treadmill workout! CLICK HERE. A 30 Min never bored elliptical workout! CLICK HERE. A tabata style treadmill workout! CLICK HERE. A 40 minute treadmill & weights combo workout! CLICK HERE. A 40 minute mixed interval walking workout! CLICK HERE. Need for speed treadmill workout! CLICK HERE. An abs and shoulders workout! CLICK HERE. Get Great Glutes– five moves to get your booty burning! CLICK HERE. Some advanced plank moves! CLICK HERE. A Tuesday Trainer- Go-to time saver moves! CLICK HERE. Her all-time favorite ab exercise! CLICK HERE. Dance It Out– Zumba w/ current hip hop songs! CLICK HERE. Muay Thai Kickboxing– A great weight loss workout! CLICK HERE. So there you go! I hope you were able to find a few new workouts to add to your routine. Now if you’ll excuse me, I have a mile-long list of new workouts to try so I’ve got to get to work! Wow! You got a ton of great responses! I need to file away this post for the many rainy days ahead! i never have to plan a workout again. Awesome, Lindsay! What a great compilation of ways to get your sweat on – thanks so much sharing with us! So many great workouts! Definitely trying EVERY single one of these! And, can’t wait to get my penpals post up tomorrow! whoa what a loaded post!!! goin to pin some of these! LOVE LOVE LOVE this post! 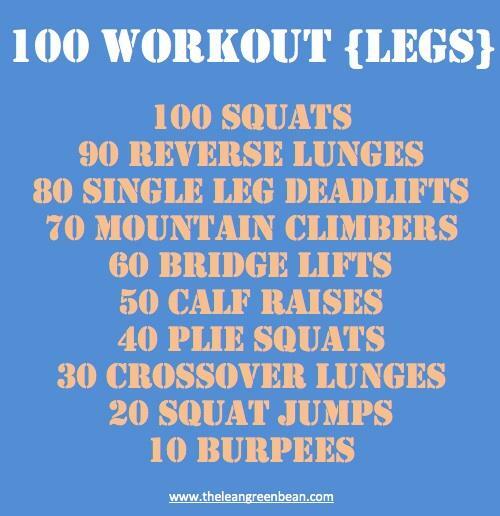 I definitely pinned it in hopes of doing several of these workouts! Thanks for sharing. you know i am pinning and saving this sucker! Bookmarking this so I never have to worry about not knowing what to do to for a workout! Thanks for compiling this awesome list! Pinned and ready to get my sweat on! Love that you did this post! Definitely favoriting it so I can always refer back to it and try new workouts! I always love trying new people’s workouts because I get bored easy so I was pumped to see this post – THANK YOU! Wow. This is such a great compilation of awesome workouts!! LOVE!!! Anything with Burpees is a killer workout! Thanks for all the workout suggestions – these are great! Talk about a complete list from A to Z! What a nice surprise to see our planks in here. Thank you. And now I think I’ll be 70 before I finish all these. What a great collection! Thanks for the hook up!! I’m so excited that my favorite workout made the list. It is seriously awesome! What a great round-up. All workouts I could ever want or need! Great source of information Lindsay! Lots of FitFluential love! Thanks for grouping them in categories too! love this! i was actually trying to figure out what i’d do at the gym today..thanks! I love this! Great compilation of workouts. Can’t wait until I’m all healed up so that I can try some of these out!! I’m so glad I found your site! I have been looking for new workouts!! Great list! Thank you!! Great post to bookmark when I need new ideas! Thanks for including me! Wow lots of awesome workout suggestions! I’ll have to check them all out! Awesome list! And mucho gracias for including me 🙂 What is up with my link though? How do I fix that haha! I need to get on WP soon, agh! I found your blog through my cousin’s blog (Running with Racheal). HOLY MACARONI AND CHEESE, BATMAN! I’m not sure I’m going to be able to walk tomorrow. I ran 2 miles this morning, but decided to try this out while my husband was mowing the lawn. I can only imagine what this will do to my weight loss if I added this in at least once a week. Thanks! haha did you do the 100 legs workout? i did it yesterday and i can barely walk today! it gets me every time! INDEED! My legs are throbbing just sitting here watching The Biggest Loser. Check out our site for some great workouts 🙂 Enjoy! And keep staying healthy and fit! [WORDPRESS HASHCASH] The comment’s server IP (72.232.7.41) doesn’t match the comment’s URL host IP (76.74.254.123) and so is spam. [WORDPRESS HASHCASH] The comment’s server IP (66.96.128.72) doesn’t match the comment’s URL host IP (66.96.147.103) and so is spam. [WORDPRESS HASHCASH] The comment’s server IP (74.200.244.28) doesn’t match the comment’s URL host IP (72.233.2.58) and so is spam. [WORDPRESS HASHCASH] The comment’s server IP (72.233.127.214) doesn’t match the comment’s URL host IP (72.233.69.6) and so is spam. [WORDPRESS HASHCASH] The comment’s server IP (72.233.2.2) doesn’t match the comment’s URL host IP (76.74.254.123) and so is spam. [WORDPRESS HASHCASH] The comment’s server IP (207.32.184.120) doesn’t match the comment’s URL host IP (207.32.184.132) and so is spam. [WORDPRESS HASHCASH] The comment’s server IP (72.232.115.4) doesn’t match the comment’s URL host IP (66.155.9.238) and so is spam. [WORDPRESS HASHCASH] The comment’s server IP (66.155.8.195) doesn’t match the comment’s URL host IP (66.155.11.238) and so is spam. [WORDPRESS HASHCASH] The comment’s actual post text did not contain your blog url (https://www.theleangreenbean.com/all-time-favorite-workouts) and so is spam.